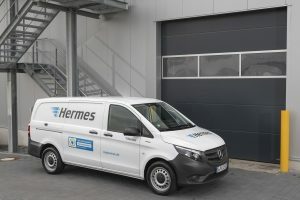 In May 2017, Hermes and Mercedes-Benz Vans decided to form a comprehensive strategic partnership to electrify the vehicle fleet of Hermes Germany. The first electric vans are scheduled to go into full-time operation at the end of 2018. How is the project progressing? When and where will the first vehicles be rolled out? 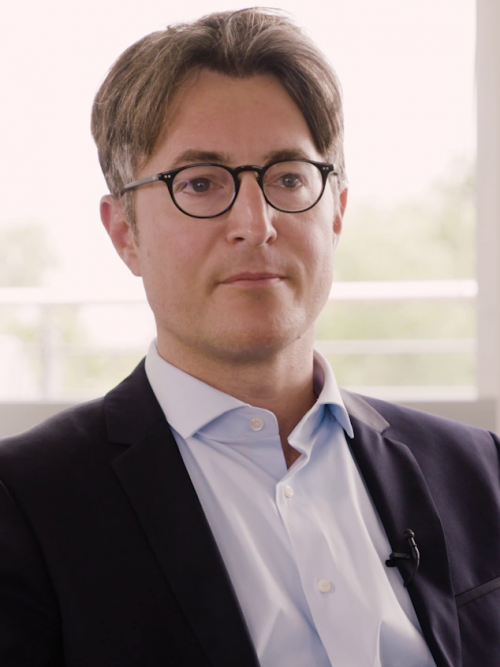 We talked to Benjamin Kaehler, Head of eDrive@Vans at Mercedes-Benz Vans and Oliver Lanka, Head of Central Procurement at Hermes Germany. 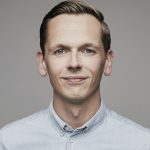 Oliver, as the procurement and fleet manager of Hermes, you are a part of the team responsible for converting the Hermes fleet into electric vehicles. 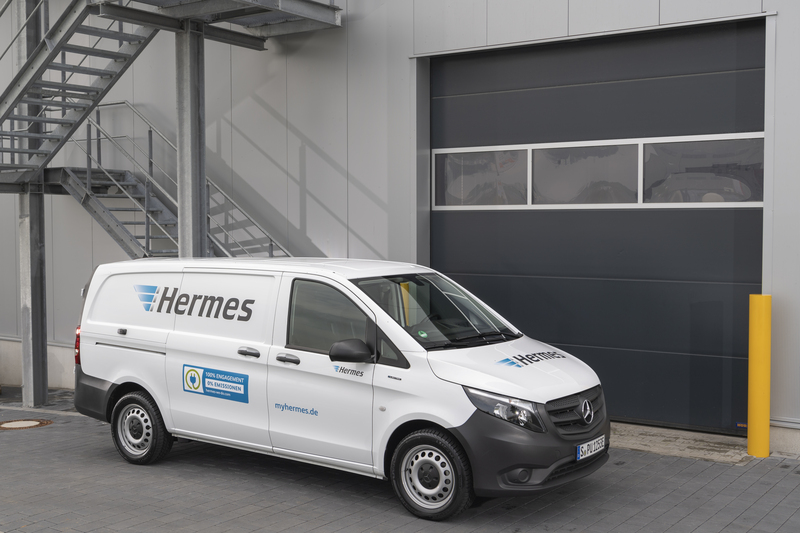 You have been working closely with Mercedes-Benz Vans. How is the collaboration progressing? Oliver Lanka: The collaboration has really been progressing exceptionally well and with excellent cooperation. 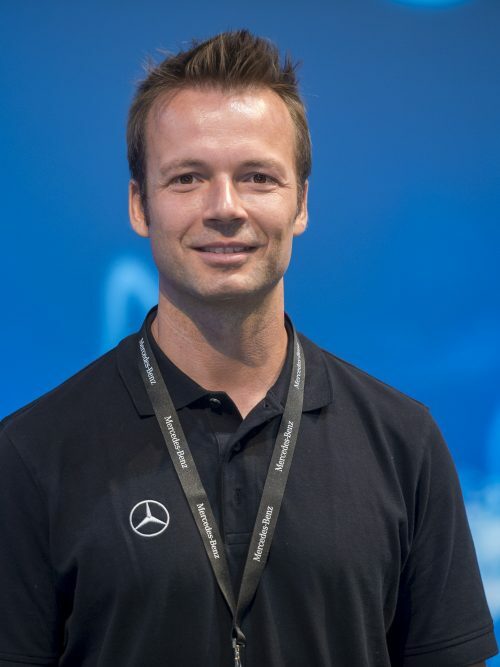 There has been extensive communication between us and Daimler since the beginning of the collaboration, and we have attempted to make the best possible use of the combined expertise of both companies. It is not only superficial issues, such as the use of e-mobility in logistics or the operating range and equipment of our future electric vehicles, that are being addressed. We also talk about innovation projects designed to improve the productivity of our delivery processes. Benjamin Kaehler: It is not enough for us to merely put vehicles on the road. That is why we and Hermes are working together on a comprehensive environment that also includes solutions for a charging infrastructure as well as the optimal integration of electric vehicles in the daily operations of logistics centres and their drivers. 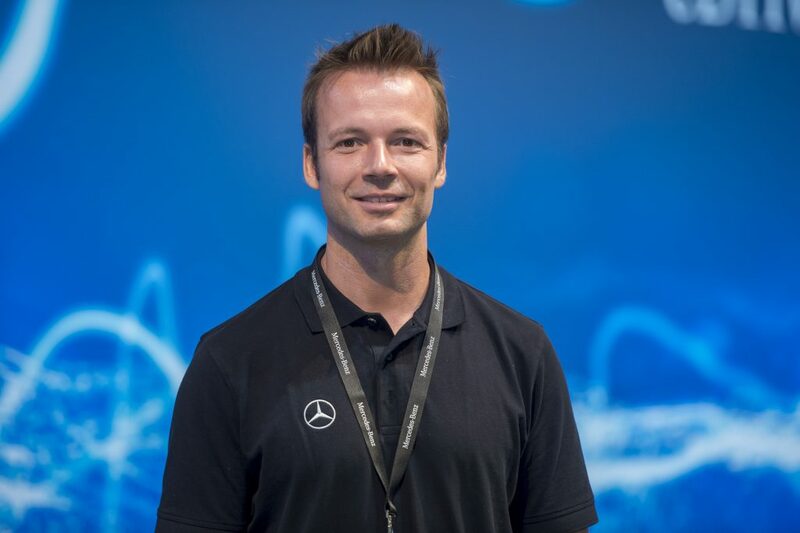 Benjamin, you manage the collaboration on behalf of Mercedes-Benz Vans. The heart of the project has been the planning of a nationwide deployment of the electrically powered delivery van models eVito and eSprinter. The first trial runs were scheduled to be carried out in the spring of 2018 already. What is the situation currently? 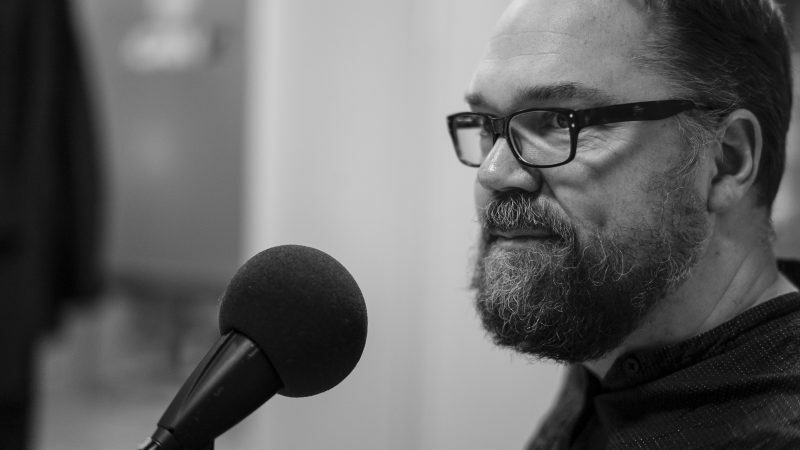 Benjamin Kaehler: We are exactly on schedule. We did indeed perform the first trials in the spring with our test vehicles, and we are completely satisfied with the results. Vehicles were then also tested under real-world conditions to see how the electric drive would perform in daily CEP practice. At the moment, we are in the critical phase, with site visits to set up our comprehensive pilot project at the Hamburg and Stuttgart locations. 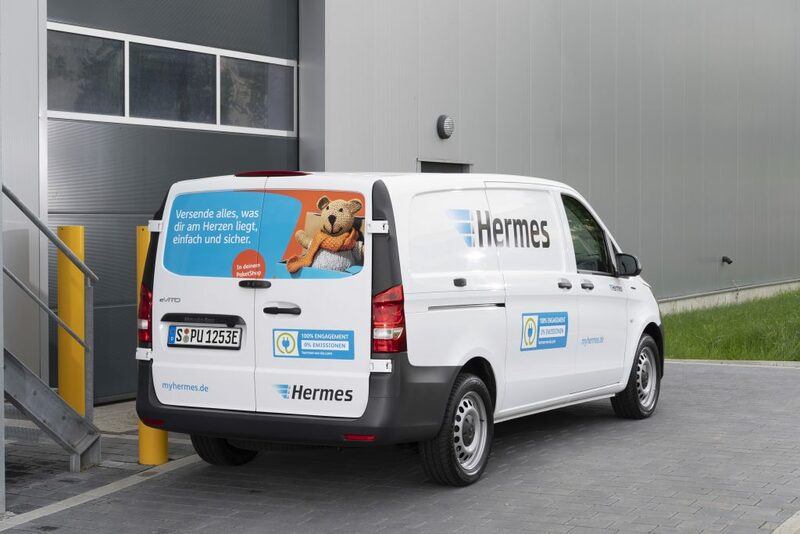 Oliver Lanka: We are already testing battery-powered delivery vans in practical operation in Hamburg, Stuttgart, Frankfurt, Hanover and Berlin. We expect the first eVito to be rolled out in the fourth quarter of 2018. Incidentally, we are not stopping at light commercial vehicles – we are also testing the use of alternative drive systems in the truck segment for our feeder and long-distance traffic. How have the electric delivery vans fared in the tests so far? Oliver Lanka: So far, the vehicles have proven to be very practical, and that is also what the drivers report back to us. The high degree of reliability is a deciding factor, and the 100- to 150-kilometre range per charge cycle is sufficient for most routes. Given this, I firmly believe that the vans will prove themselves when they go into standard operation later. Benjamin Kaehler: In my opinion, too, the vehicles have absolutely proven themselves in real operation. Everyone involved was impressed. Besides the fact that we were able to find the answers to many detailed questions, the tests ultimately showed that the eVito is an ideal vehicle for CEP delivery services and deliveries in urban areas. The range was sufficient for all the trips that Hermes performed. Furthermore, we have already demonstrated through our winter trials in Arjeplog in Sweden that our vehicles are completely reliable even during the cold season. In addition, workplace ergonomics for the drivers was rated “very good” – a key factor for us. At Mercedes-Benz we demand the highest standards of safety and comfort. In this case, we benefit from the fact that we can rely on a proven product design – and we are proud that we can put a true Mercedes on the road with the eVito. Have you come up against any challenges? Oliver Lanka: Economic operation remains the biggest challenge for us. Although it is predicted that a full cost-neutral change from diesel to electrically driven vans is quite possible, the construction of the charging infrastructure is giving rise to high costs for now. Unlike in the past, we cannot rely on a public filling station network – we must build our own “filling stations”. 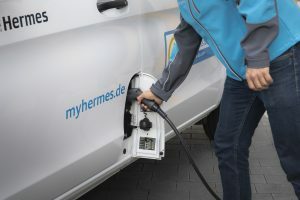 This is no small matter – each location needs to have its own intelligent charging management, which in many cases even requires expansion of the power grid connection. It is obvious that this is something that costs a great deal of money. 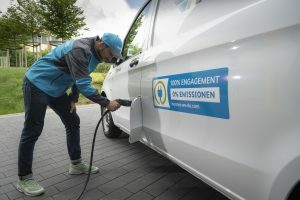 Will the two pilot locations of Stuttgart and Hamburg be the only cities with e-mobility? Benjamin Kaehler: To start with, yes. We will develop the concepts in these two cities and then jointly proceed to the big rollout in other metropolitan areas. We are also running tests in both these cities simultaneously. 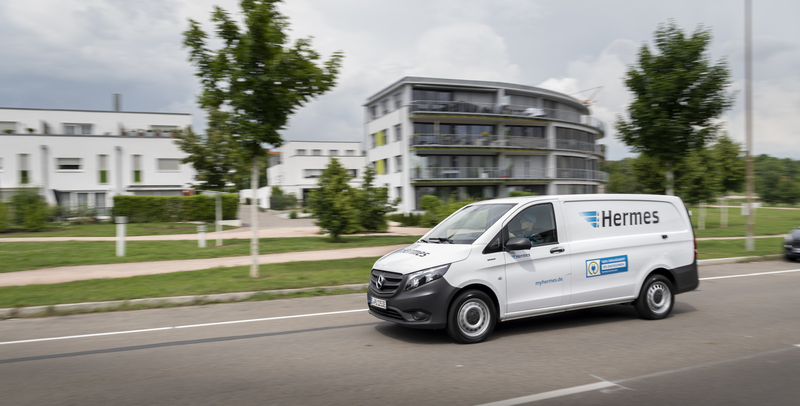 While we were carrying out test drives in Stuttgart, we did our press drive with the eVito and the eSprinter in Hamburg at the beginning of this month. Once again, there was great praise for our vehicles. Oliver Lanka: In the long term, we will use e-mobility in all cities where pollution from traffic is particularly high. Hamburg and Stuttgart are two such cities – no question about that. Our goal is for our deliveries to be emission-free by 2025 in all major German cities and metropolitan areas. Has the eSprinter also been tested in real operation? Benjamin Kaehler: No. Although we did have the eSprinter at the press event, in the real operation test drives conducted so far, we have focused on the eVito for now. This vehicle will already be on the road this year and will be the first electric delivery van that we hand over to Hermes. When will I receive my first Hermes package delivered by an eVito? 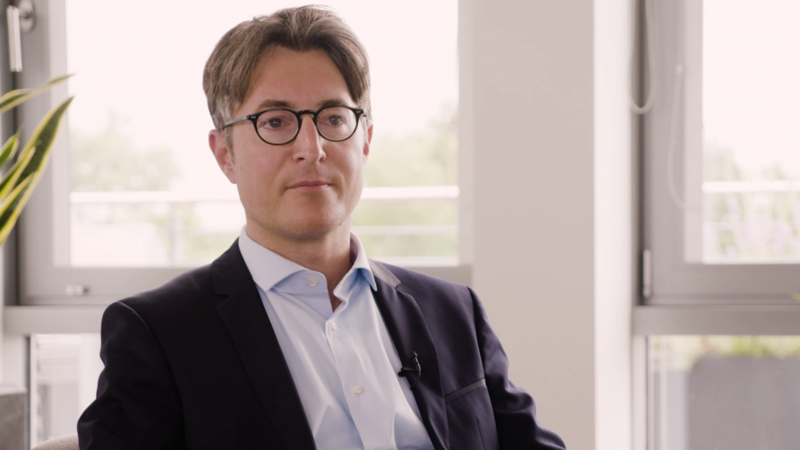 Benjamin Kaehler: If you do not already see an eVito on your doorstep during the test drive phase, your chances of doing so will increase significantly in the fourth quarter of this year. Oliver Lanka: That’s correct – at least in Hamburg and Stuttgart. As a matter of fact, the vehicles will also take over a significant portion of the parcel volumes in the upcoming Christmas business there. 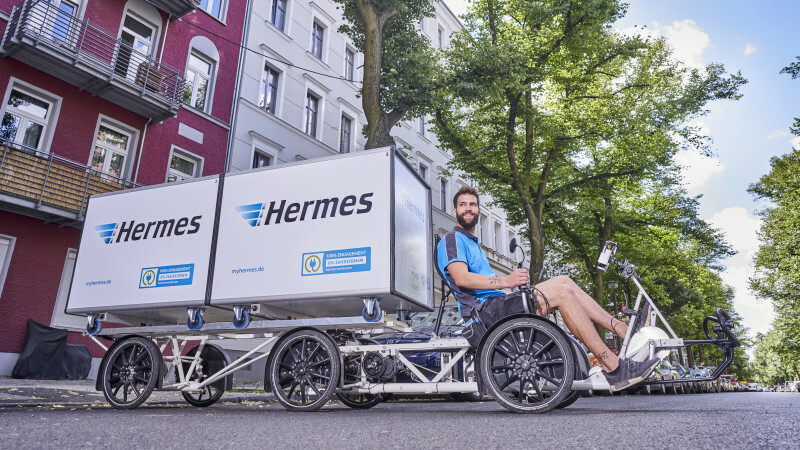 In Berlin, Hermes is testing delivery by cargo bike, and the initial results look very promising. Is there actually still a future for delivery vans in cities – whether diesel or electric – in the parcel delivery service business at all? 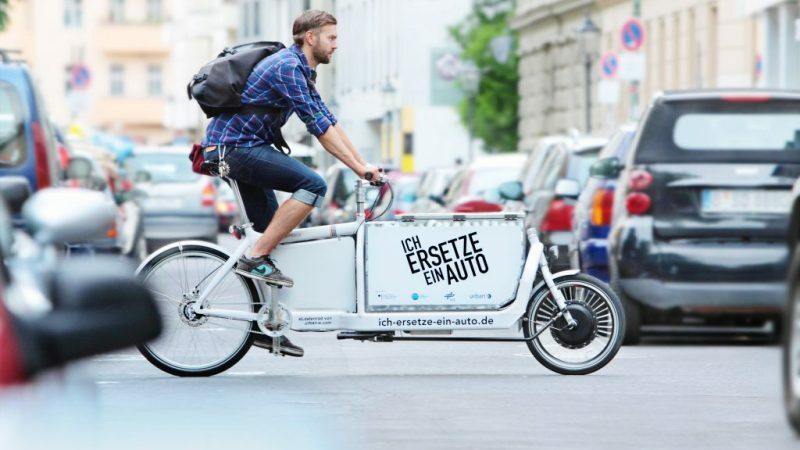 Oliver Lanka: Cargo bike delivery is a very exciting development for inner cities, and one that is not to be taken lightly. As part of the KoMoDo project in Berlin, we are working with the local government and other logistics service providers, such as DHL and DPD, to analyse under which conditions the use of cargo bikes can be even more efficient than conventional vehicles for deliveries. However, even here you cannot do away with delivery vans entirely. For one, parcels must be delivered to the micro-depot, which serves as the starting point for the cargo bikes, in the mornings. Furthermore, bulky goods, large items and often also suitcases cannot easily be transported by cargo bike. Finally, using cargo bikes efficiently usually requires a network of micro-depots. Premises for such depots are scarce and expensive, especially in the metropolitan areas – not to mention the operating costs. We will have to see what is practical. For the medium term, I expect to see a combination of conventional and alternative vehicles with different drive technologies. 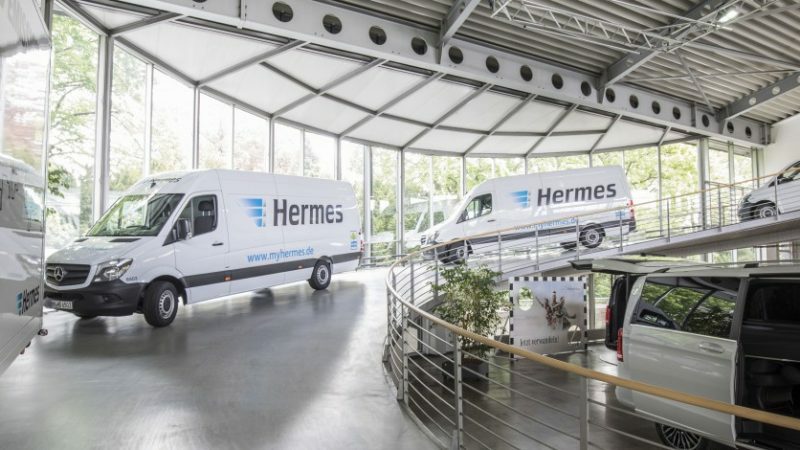 Volker Mornhinweg, head of Mercedes-Benz Vans, and Hanjo Schneider, executive board member of the Otto Group in the services segment and chairman of the supervisory board of Hermes Europe GmbH, signed a strategic partnership agreement today. Cargo bikes are becoming increasingly important for commercial traffic. Not only do they make emission-free deliveries possible, they can also use very different routes and thus get through the traffic much faster.